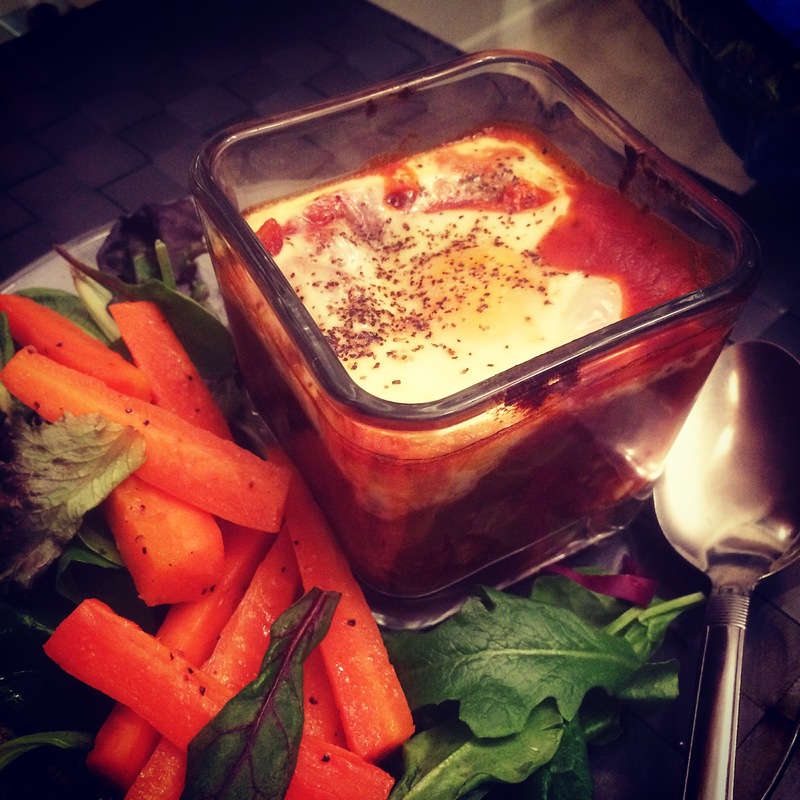 Cooking Is Stylish: Uova in Purgatorio… | iamstylingonyou. I found this in my FAVE cookbook “Nom Nom Paleo” Basically it’s a tomato based sauce, with sausage in it, topped with an egg. Here is the recipe below. 1. Preheat the oven to 400 degrees with the rack in the upper-middle position. 2. Melt the fat in a large skillet over medium heat. Add the onions and sauté until translucent, about 5 minutes. Toss in the mushrooms and season with salt and pepper. Cook for 5 minutes or until the moisture released by the mushrooms evaporates. 3. Add the sausage to the pan, breaking it up with a spatula. Cook until it’s no longer pink. Pour the sauce onto the meat and add the red pepper flakes. Stir to combine the ingredients, and cook until the sauce simmers. 4. Divide the saucy mixture into four 8-ounce ovenproof ramekins or mini cocottes. Make a small well in the center of each, and crack an egg in it. Sprinkle salt and pepper on the eggs. Place the ramekins on a tray in the oven, and bake until the eggs are done to your desired consistency, about 10 to 15 minutes. Serve immediately. And Remember….I have the answers.